At the end of WW2 much of Germany's capital had been destroyed by bombing and artillery. Almost half of all houses and flats had been damaged and a million Berliners were homeless. 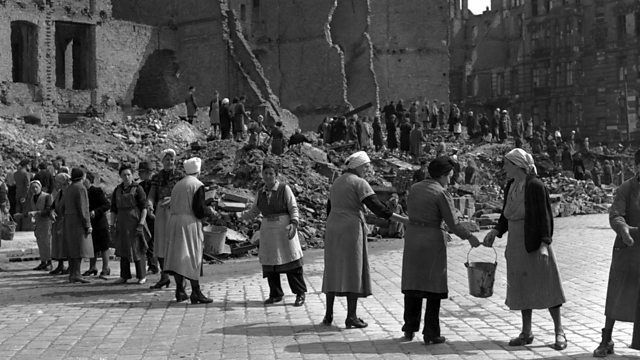 Caroline Wyatt has been speaking to Helga Cent-Velden, one of the women tasked with helping clear the rubble to make the city habitable again.